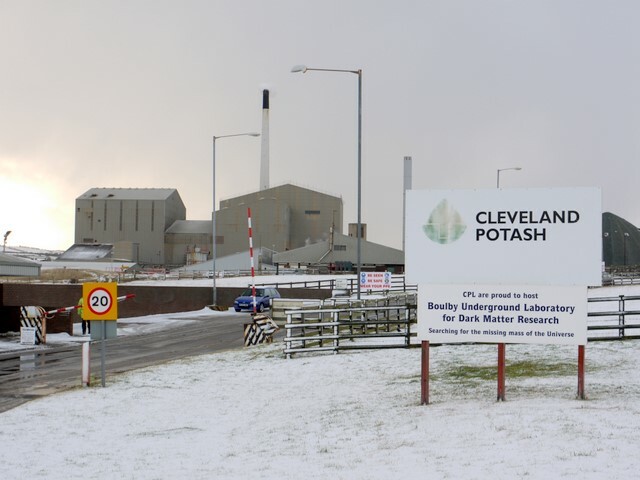 The underground laboratory for Dark Matter Research, 1,100 metres underground, within Cleveland Potash's Boulby Mine was officially opened on 18 April 2003. The experiment was conceived to search for Weakly Interacting Massive Particles (WIMPs) and is run by a consortium consisting of astrophysicists and particle physicists from the United Kingdom. The aim is to detect rare scattering events which would occur if galactic dark matter ('the missing mass of the Universe') consists largely of a new heavy neutral particle. Sadly none of the elusive particles have yet been found. This page has been viewed about 269 times.